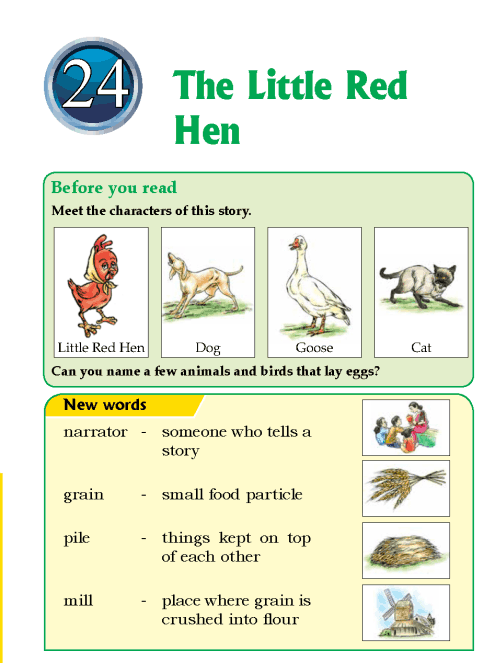 With whom did the Little Red Hen live on a farm with? What did she find on the ground? Where did the Little Red Hen take the wheat to ground into flour? Did she eat the bread alone?